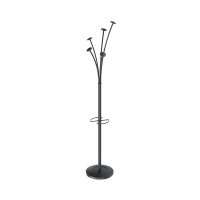 This unique and stylish coat stand from Alba contains 5 hooks of varying lengths and with rounded edges to support a variety of garments. The heavy base provides a high level of stability, even when loaded with garments. The stand includes an integrated umbrella holder and a removable water retainer. 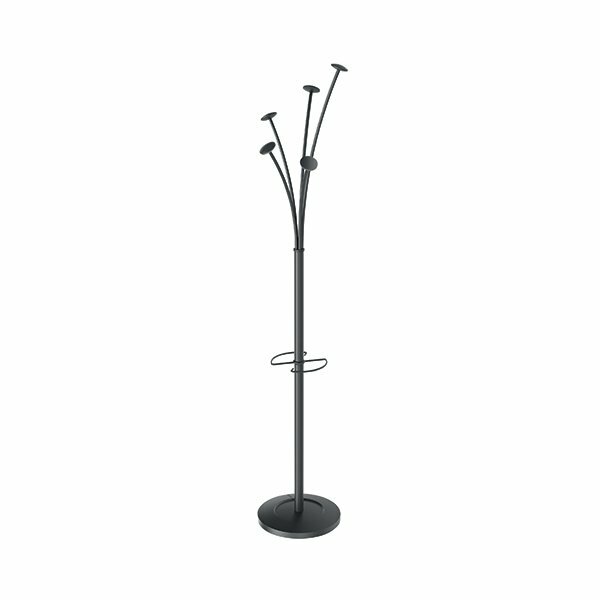 The elegant tubular steel stand measures 1870mm in height and is finished in black.